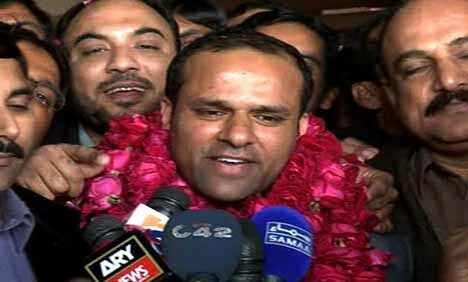 LAHORE: Shahid Nazir, the Pakistani who shot to fame for his song ‘One Pound Fish’ arrived in Lahore on Thursday. Upon his arrival Nazir said he would be visiting France in two weeks and had returned to Pakistan to obtain his visa. Nazir denied reports in the media that he had been deported from Britain. ‘One Pound Fish’ became a global hit after the song was published on YouTube. Following its success, Nazir signed a record deal with a major music label.